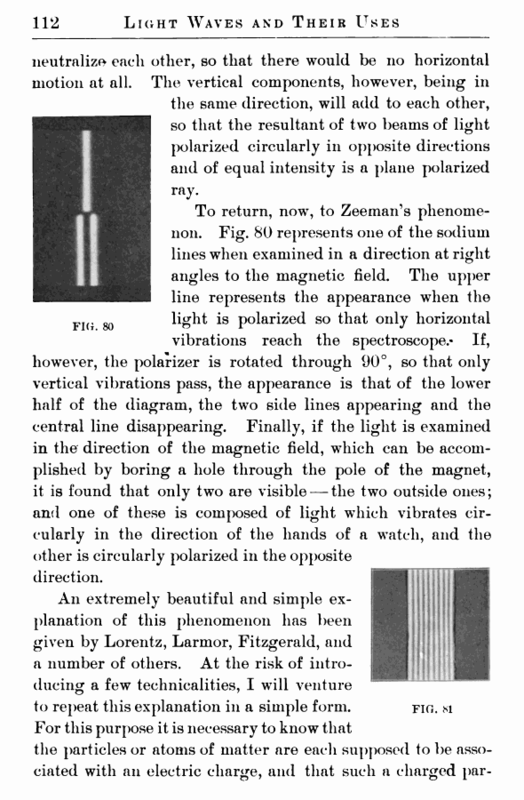 special devices, and such devices are termed “ polarizers.” They may be likened very roughly to a grating the apertures of which determine the plane of vibration. Through such a grating we can transmit vibrations along a cord only in the plane of the apertures. A vibration at right angles to this plane will not travel along the cord beyond the grating. 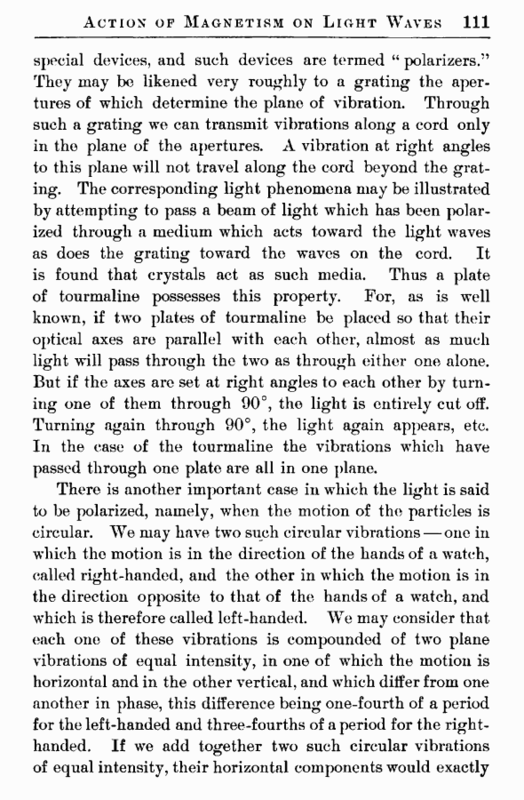 The corresponding light phenomena may be illustrated by attempting to pass a beam of light which has been polarized through a medium which acts toward the light waves as does the grating toward the waves on the cord. It is found that crystals act as such media. Thus a plate of tourmaline possesses this property. For, as is well known, if two plates of tourmaline be placed so that their optical axes are parallel with each other, almost as much light will pass through the two as through either one alone. But if the axes are set at right angles to each other by turning one of them through 90°, the light is entirely cut off. Turning again through 90°, the light again appears, etc. In the case of the tourmaline the vibrations which have passed through one plate are all in one plane.